The forces of Wessex and Mercia have united against the Danes, but instability and the threat of Viking raids still hang heavy over Britain's kingdoms. For Aethelred, Lord of the Mercians, is dying, leaving no heir and the stage is set for rivals to fight for the throne. 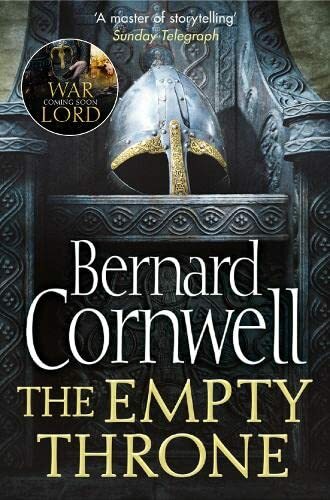 Uhtred of Bebbanburg, Mercia's greatest warrior, has always supported Athelflaed to be Mercia's next ruler, but will the aristocracy ever accept a woman as their leader? Even one who is Aethelred's widow and sister to the king of Wessex? As the Mercians squabble and the West Saxons try to annex their country, new enemies appear on the northern frontier. The Saxons desperately need strong leadership, but instead they are fighting for an empty throne and threatening to undo the unity and strength they have fought so hard to achieve.